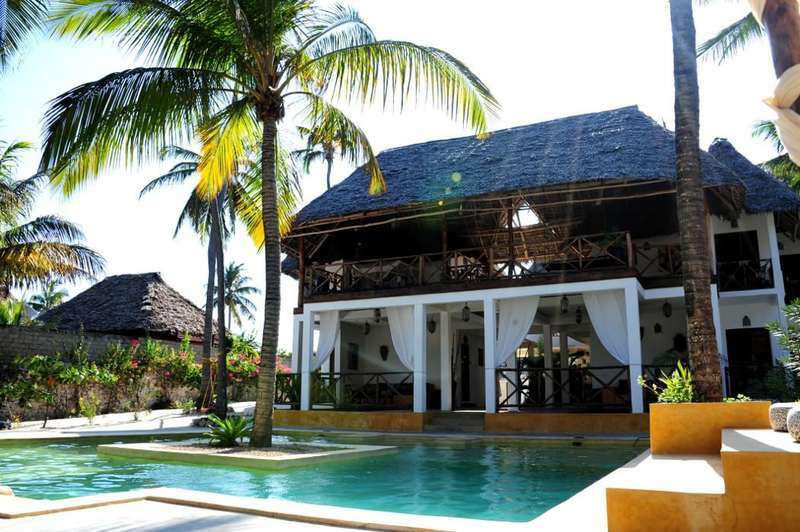 The resort Sahari Zanzibar is located in an exclusive location, where nature and the pristine ocean have dominance. 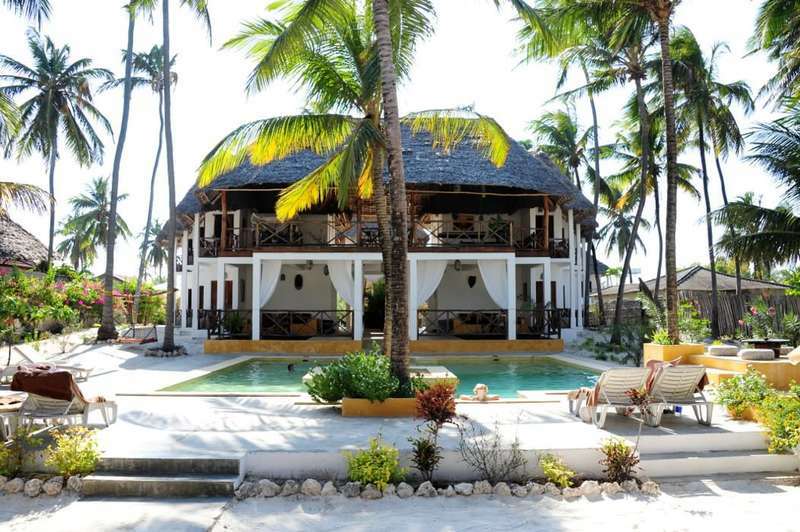 Built near the fishing village of Bwejuu, on the east coast of Zanzibar, is 50 km from the city of Stone Town. 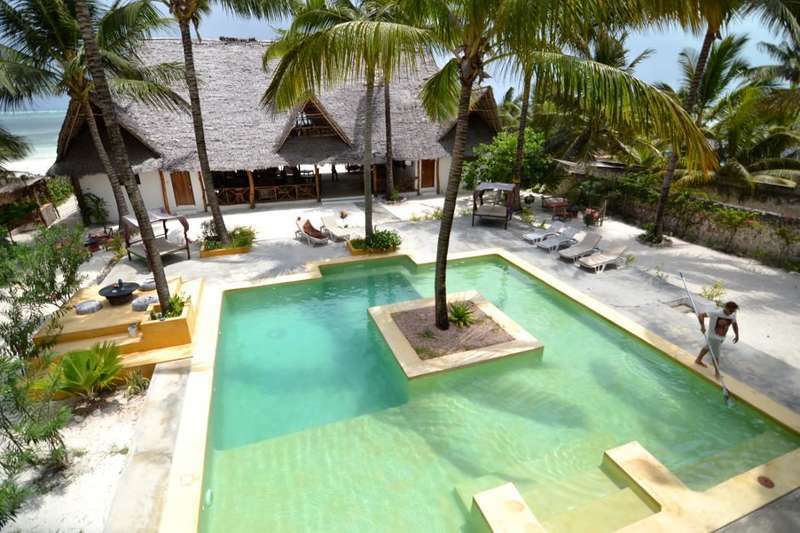 It is located directly on the sea and is designed to give guests a magnificent view of the Indian Ocean. The restaurant is also the bar, offering a wide selection of cocktails and wines, as well as the real Italian espresso: the ideal place to relax and enjoy a drink before or after a meal, while sitting on comfortable sofas made by local artists. The beach of the Resort is white and coral and offers the ultimate in relaxation; alternatively we offer our customers a beautiful Arab-style pool from which you can see the ocean. The Sahari Zanzibar organizes for its customers tours and excursions to discover this wonderful corner of paradise: the spice plantations, the Natural Reserve of Chumbe Island Coral Park, while, if you want a close encounter with dolphins you just need to book a tour at Kizimkazi, in the famous bay of the dolphins. During your stay you can also enjoy snorkeling, kite surfing and diving: we will advise schools and organizations most suitable, with qualified instructors and equipment for hire on site. To reach the resort Sahari Zanzibar, once arrived at the airport of Zanzibar Kisauni, you need to take a taxi or a dala-dala, the main form of public transport run by private, to switch from the west coast to the east. We must proceed towards Paje and after Bwejuu. The Resort is located just across the border with Paje Beach in front of the school and close to the football field of Bwejuu. The route is of 45 km, it takes about an hour to go through it. Any cancellation received within 30 days prior to arrival date will incur a charge of 50% of the booking value. Any cancellation received within 15 days prior to arrival date will incur the full period charge. Failure to arrive at your hotel will be treated as a No-Show and no refund will be given (Hotel policy). Free! One child under 6 years stays free of charge in a child's cot/crib. One child from 6 to 12 years is charged 50 % of the room stay per night in an extra bed.